Stationmasters hid slaves to keep them safe from slave catchers. Salves could be held anywhere ranging from attics, basements and barns. 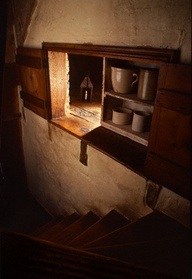 Some houses had secret rooms or compartments, concealed behind book shelves or stairs where slaves could be hidden. Sometime conductors of station wagons and horse- drawn carriages would hideaway slaves when traveling long distances. Salves could be hidden under hay bails or in secret storage places under the wagons. 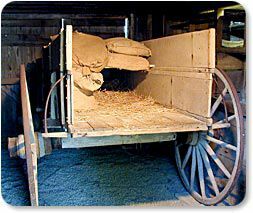 Horse carriage where slaves could be hidden underneath hay bails or any large object.